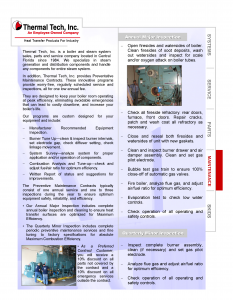 Contracts Designed to Keep Your Boiler Room & Equipment Operating at Peak Efficiency, Eliminating Avoidable Emergencies That Can Lead to Costly Downtime, and Increase the Life of Your Equipment. Innovative program provides worry-free, regularly scheduled service and inspections, all for one low annual fee. The Preventive Maintenance Contracts typically consist of one annual service and additionally one to three inspections to ensure optimum equipment safety, reliability, and efficiency. 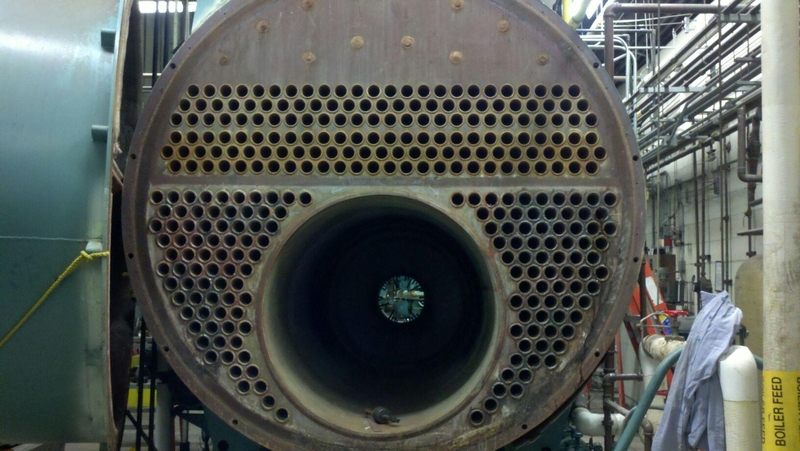 Complete annual boiler inspection and cleaning to ensure heat transfer surfaces are optimized for Maximum Efficiency. Complete periodic preventive maintenance services and fine tuning to factory specifications for absolute Maximum Combustion Efficiency. Customized Program: Our programs can be customized to provide our customers optimum and economical support in maintaining equipment operating requirements. Field Service Personnel: Our local team of factory trained professionals will provide you with the highest quality service and recommendations necessary to achieve optimum efficiency and dependability. Emergency Service (24 Hours): As a Preventive Maintenance Contract customer you will be given the highest priority in the event emergency service calls or repairs are required. Factory Equipment/Parts: TTI uses Genuine Factory replacement parts to ensure optimum Reliability and Efficiency. Economical Approach: Our contract customers receive an economic incentive for all covered equipment to participate in a Preventive Maintenance Program of discounted services. Documentation: Report forms are completed by our field service personnel upon completion of the inspections and submitted to you for your review and permanent records. Inventory: Our parts inventory and alliances with our manufacturers ensures fast and reliable service anytime day or night. Service Department: Our highly automated and computerized Service Departments will notify you in advance of the anticipated schedule date and confirm you are ready for service. We track all equipment in our system to ensure we have the proper parts to better serve you and minimize down time.